Sometimes a standard whiteboard won’t make the cut. Here at Ideal Furniture, we understand that presentations are imperative in ensuring the overall success of your business. 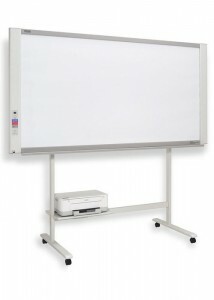 As such, we have a comprehensive range of electronic whiteboards ideal for meetings, conferences, or lectures. Available in a variety of styles and sizes, our electronic whiteboards are powerful communication tools which allow for a premium user experience. Electronic whiteboards are the epitome of innovative, interactive technology. Display virtual content in a professional manner with our electronic whiteboards. At Ideal Furniture, we have built long term relationships with our clients through our high level of expertise and devotion in the highest quality office furniture. Maximise your productivity and come down to our showroom today in Granville, Sydney and view our range yourself.